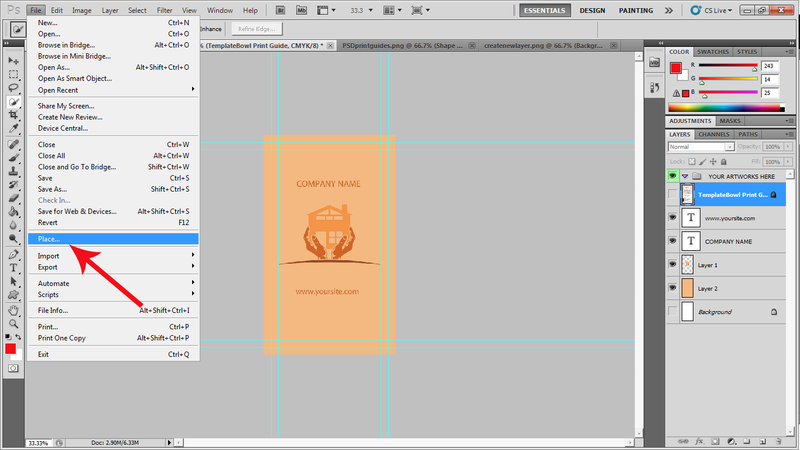 Create Print Templates in Photoshop in a flash! 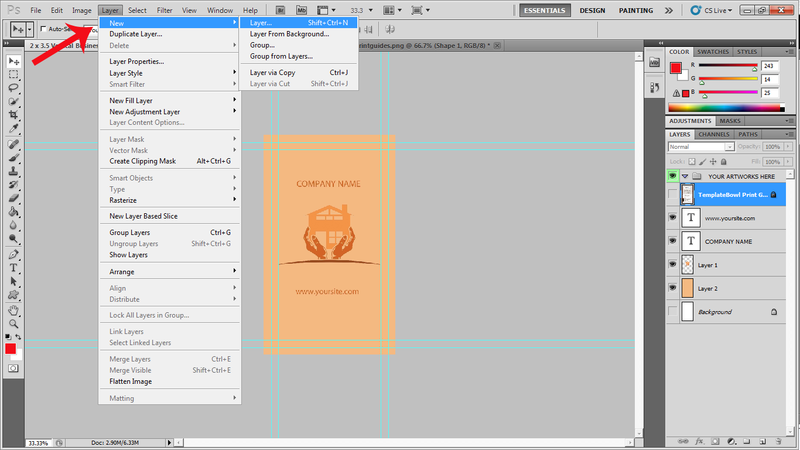 Follow these simple tips and guidelines for customizing your designs. 1. From the layer section, choose the text layer that you want to edit. Select the text tool then type in your data. 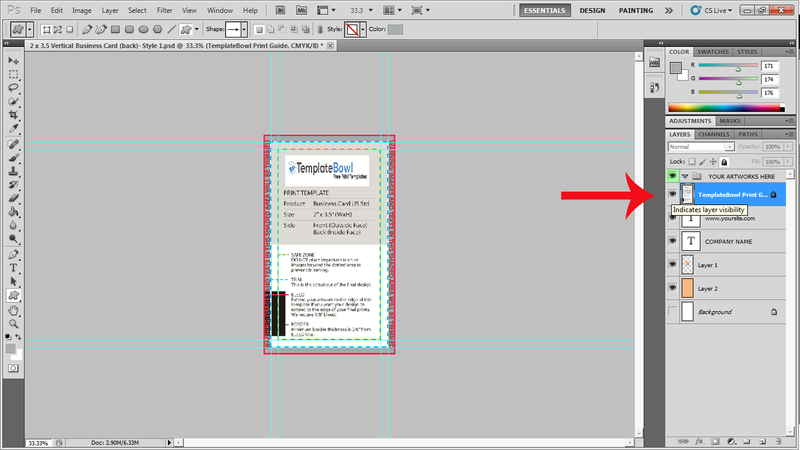 You can choose a font style, size and color on the options located at the upper part of Photoshop. 1. 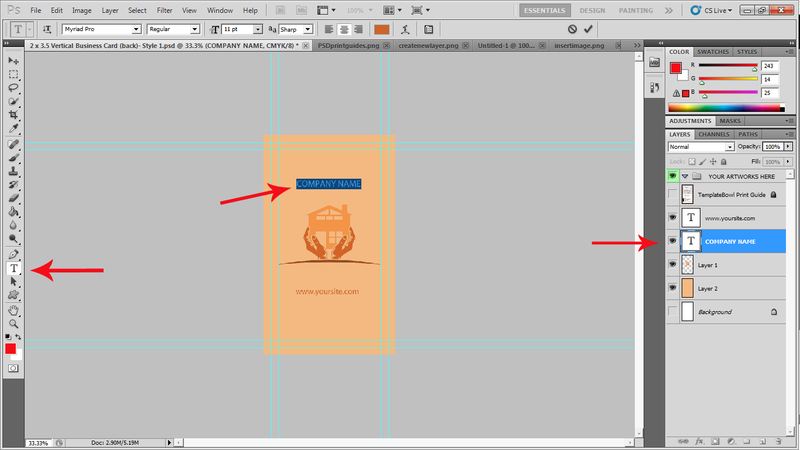 If you want to insert images and add them on your layout,select “File”, “Place” and select the image you want to add. 2. If you want to add more elements on your design like images, shapes, texts, etc, make sure to create a new layer for each element. This helps organize the layers so when you decide to change or delete the element, you just have to look for that specific layer.